Heavy Duty – Nominal Diameter Sized Standard T-Bolt 30051 – Fitting Source Inc. 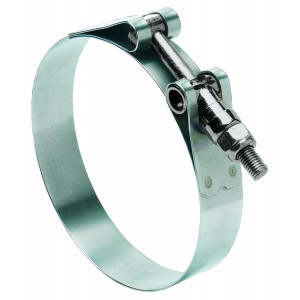 Heavy Duty T-Bolt 30051 clamps provide uniform sealing pressure for a positive, reliable seal. Designed for use in high vibration and large diameter applications common in heavy trucks, industrial machinery, off-road equipment, agricultural irrigation and machinery. Features a 3/4″ or 7/8″ wide stainless steel band, depending upon size ordered, and welded construction for reliability.